A hedge fund says the Japanese conglomerate need no longer divest its $18 bln memory unit after raising $5 bln in equity. It has a point: the deal was a fire sale. A quick halt is unlikely, but a U-turn would be possible and desirable if the transaction doesn’t close by March. The logo of Toshiba Corp. is seen at the company's facility in Kawasaki, Japan February 13, 2017. Hong Kong-based Argyle Street Management told Toshiba that the $18 billion leveraged buyout of its memory-chip business undervalues the unit and is unnecessary following a large capital-raising, Reuters reported on Dec. 11, citing a letter and an interview with Argyle’s chief investment officer, Kin Chan. The $1.2 billion hedge-fund manager invited overseas investors who participated in the Japanese group’s recent 600 billion yen ($5.3 billion) share sale to team up. It is already in talks with at least three who share its view, Chan told Reuters. In October, Toshiba shareholders approved the LBO of Toshiba Memory Corp to a consortium led by Bain Capital, the U.S. private equity firm. Toshiba will retain 40 percent voting rights in the business and an unspecified economic stake. 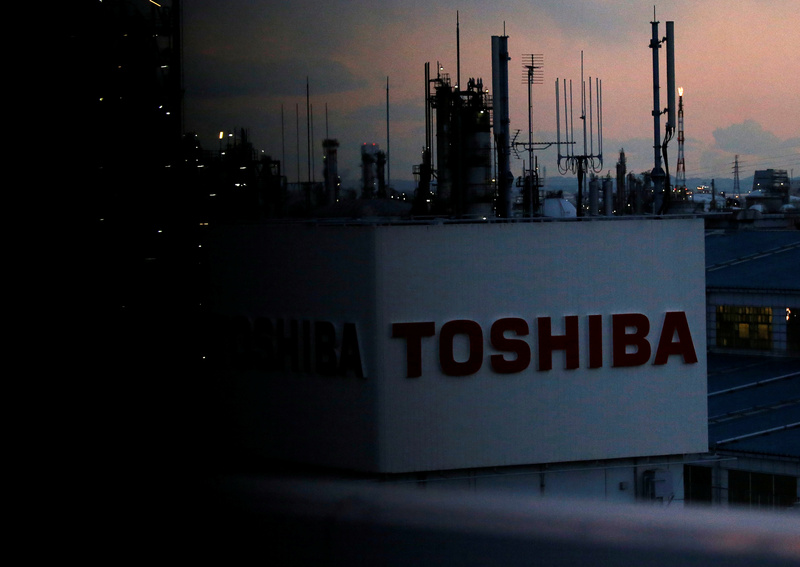 A Toshiba spokeswoman told Reuters the company was working to complete the sale by the end of March "to ensure that Toshiba Memory has the resources it needs to continue to innovate and deliver for a fast-growing flash memory market." Toshiba shares rose 1.3 percent by late morning in Tokyo on Dec. 12, to 305 yen a share.